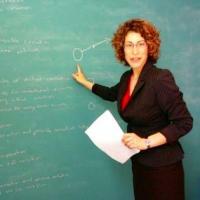 Sara Bernstein (Ph.D University of Arizona, 2010) joined the Duke faculty in 2010. Her primary research interests are in the metaphysics of causation, and in topics at the intersection of causation and ethics. She has recently published articles in Philosophical Studies and in Dialectica, and given over fifty invited lectures and commentaries nationally and internationally. She was the 2013-2014 Andrew W. Mellon Assistant Professor of Philosophy. Additionally, she sits on the board of officers of the national board of the American Philosophical Association. Bernstein, SJ. "Omission Impossible." Philosophical Studies (August, 2014). Bernstein, SJ. "Two Problems for Proportionality About Omissions." Dialectica (2014). Bernstein, SJ. "What Causally Insensitive Events Tell Us About Overdetermination." Philosophia (2014). Bernstein, SJ. "A Closer Look at Trumping." Acta Analytica (2014). S.J. Bernstein. "Time Travel and the Movable Present." God, Freedom, and Ontology: Essays on the Philosophy of Peter van Inwagen (2013). Bernstein, SJ. "Omissions as Possibilities." Philosophical Studies (October, 2013).